The number of resumes received by employers has always been overwhelming. 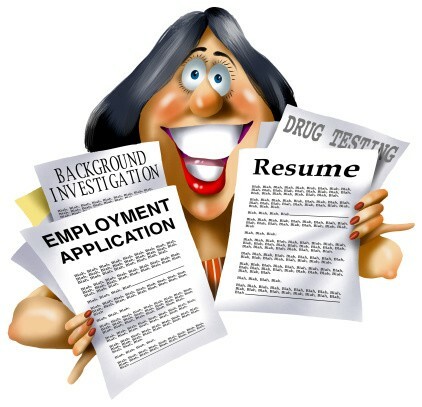 The challenge for you, as a job seeker, is to get your resume to be noticed and to stand out from the crowd. A resume is a powerful marketing tool to market yourself to your prospective employer. Having a customised resume that matches your prospective job might just land you for an interview. These are some key points you can take note when customising your resume to match the job description. By reading job postings carefully and extract keywords describing skills, qualities or experiences which employer listed as required/preferred is ranked as being the most important factors to perform the job well. Emphasising that every point of the job requirement is met is the first step to securing the job interview. This helps to enhance the interest for the prospective employer. Reading through job postings and using a highlighter to mark words as you read would to build your customised resume to match the job. These are some questions that you might want to look at while reading through the postings. What are they looking for? What are the qualifications listed as preferred? How do your skills match up against their job requirements? Make a list of the key words and requirements to use in your cover letter/resume. Describe in short, concise and dynamic key words such as sales figures by quantifiable numbers/percentage. Using verb examples such as ‘Achieved sales target of $1 million per annum for 3 consecutive years’ would help to enhance the messages by bringing strength and meaning to the skills and qualifications that you wish your prospective employer would take note. Sell yourself by crafting a headline that encapsulates related experiences to interest employers at a glance. Look at where your already-listed experiences might match with elements in the job description. Description of previous job responsibilities should be kept generic if the prospective job is in a different industry. In all cases, be honest about what you have done. Remember to show that you are willing and able to learn new skills; for instance, mention how you would like to get a professional certificate such as the Association of Chartered Certified Accountants (ACCA) for the Accounting & Finance Industry and weave it into your cover letter. This helps to show the prospective employer that you are willing to take on new roles and have initiative to upgrade yourself. Make reasonable connection between what you have done and what you want to do now. Community life skills are usually learned through volunteer work such as community activities. It is useful to show active participation on a social level if available. Past activities that you have done in other jobs or outside of it, such as a unique project or freelance job that are not yet on your resume? Pick the most relevant ones to show why you would be an asset to the new job. Finally, remember to read through your resume again and check your spelling, grammar and format alignment. It will take you mere minutes and can ultimately save you months of unemployment.